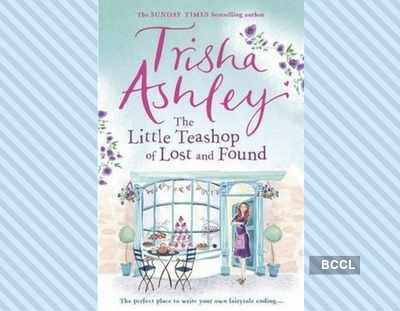 As with all Trisha Ashley books, this is another life-affirming love story which soars above stock Mills & Boon material thanks to a cast of likeable characters and regular injections of characteristic wry humour. Alice Rose is a foundling brought up by a kindly, adoring father but an uncaring adoptive mother. When her father dies, her mother casts her out and Alice is left to fend for herself with the assistance of a few old friends. Just as she starts running a hikers' cafe belonging to Dan, her fiance, a second blow comes in the news of Dan's death in a climbing accident. When Alice further finds that Dan was a married man and his scheming ex-wife turns up to claim Dan's property, it is about all she can take before she succumbs to a breakdown. Still reeling from her travails, Alice rushes into purchasing a run-down cafe which she spots online, tempted by the fact that it is in Haworth, the Yorkshire town in which she was found as a new-born baby, stuffed under a rock on the moors and presumably left to die. The cafe is in an appalling state and Alice finds too that the antique shop across the road belongs to Nile Giddings, a handsome but haughty Yorkshireman, somewhat reminiscent of Heathcliff (this is Bronte country, after all). Through Nile, Alice meets the rest of the Giddings family, a warm inclusive Yorkshire clan (including an Indian daughter-in-law called Geeta!) who take this brave newcomer to their collective heart. With their help, Alice gradually resurrects the cafe into a charming tea-shop specialising in the airiest of scones and 'fat rascals' and the rudest waitresses in all of England. She also starts to gradually piece together the circumstances that led to her abandonment as a baby but will her birth mother come forward to explain what had happened? And will Niles be the right man to help sweep all the heartbreak of the past away? This is a warm, comforting, easy read, though I would have loved more of the hilarious 'alternative fairy story' that Alice is working on alongside setting up her cafe. The novel should also come with a 'CAKE' warning on the cover as some of the descriptions of Alice's delicacies are mouth-watering. There are, however, right at the very end of the book, some exceedingly useful recipes! Jaishree Misra is a bestselling novelist with eight books to her credit. She was also one of the participating authors of TOI Write India contest.